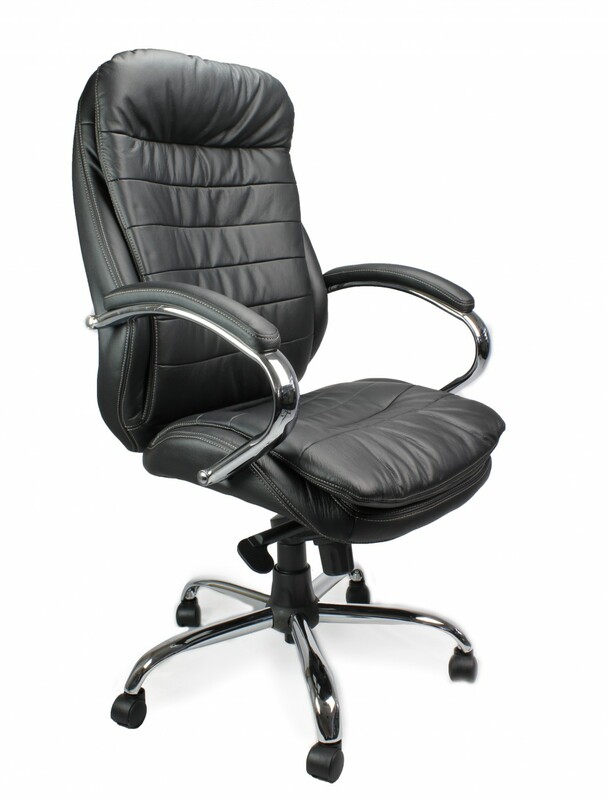 The 618KTAG is a luxurious 1st quality, leather faced executive chair, available in Brown or Black leather facings with chrome arms and base. The Santiago chair is fitted with a synchronised mechanism for simultaneous adjustment of seat and backrest. The stylish design with stitch detail has an integral headrest and lumber support.